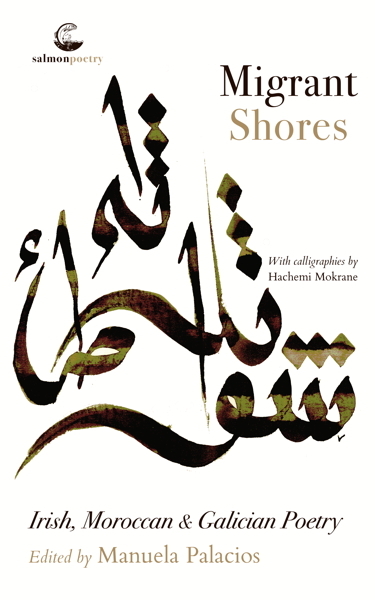 Migrant Shores brings together writers from three Atlantic countries, Morocco, Galicia and Ireland, aware as they are of the shared ordeal of migration and exile at different times of history.3 In her poem “Daughters of Colony” the Irish poet Eavan Boland identifies the otherwhereness of the colonial subject and writes about the loss of an ideal national identity and the exploration of a painfully hybrid one.4 This feeling of dislocation is no doubt common to the people of Ireland, Morocco and Galicia, both due to their colonial background ― notwithstanding its different manifestations ― and because of their chronic experience of migration whether to neighbouring European countries or to more distant lands. Though apparently universal, migration and the discourses about it are gendered. For this reason, this anthology aims at a notable representation of female voices that may examine the way gender and mobility affect each other, so as to retrieve women’s disregarded diaspora.5 Many poems in this compilation consider the predicament of the migrant woman: her body, hopes, fears and frustrations, her national and ethnic (dis)affection and, in sum, her otherwhereness.